Get faster, more flexible printing with the latest generation PrintHub 3. It delivers amazing Wi-Fi connectivity range with a 5GHz antenna, as well as high performance and reliability, all in a sleek black aluminum case. 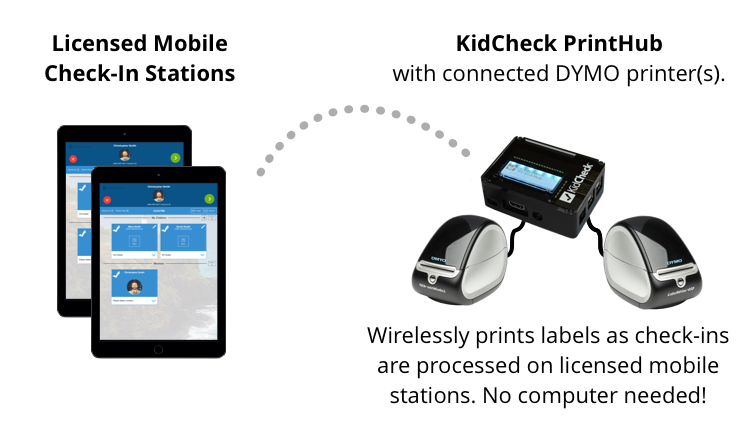 Labels print directly from a parent’s smartphone with Express Check-In or from a licensed check-in tablet to the DYMO printer. All without the need for a computer or use of DYMO software. 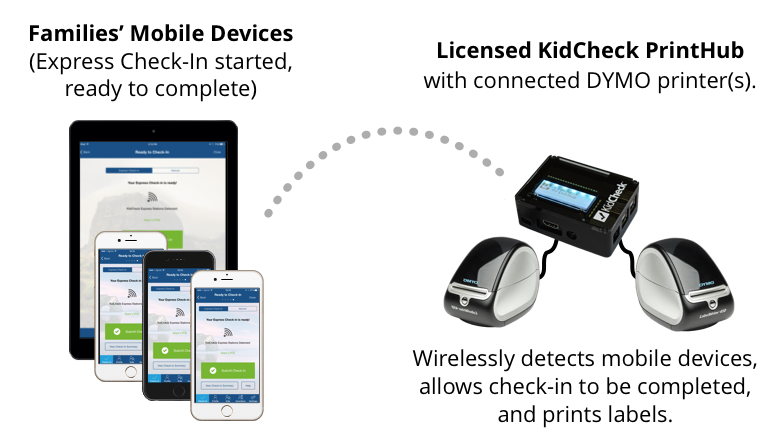 When licensed and used with Express Check-In, the PrintHub 3 enables printing of child and guardian labels for parents checking in from their smartphone or tablet device. 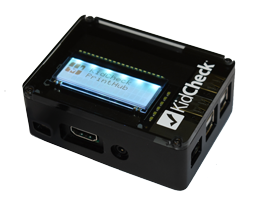 When the family arrives at the facility and completes check-in on their mobile device, the PrintHub 3 recognizes the check-in and automatically prints labels. No need to wait in line. If not used with Express Check-In, the PrintHub 3 still provides an easier, faster mobile printing solution. Print directly from a licensed tablet to the DYMO printer – no computer or software needed. Enjoy faster, more reliable, more flexible mobile printing. It’s super easy to set up and features a dedicated mobile set up app, LCD display providing key diagnostic information and status updates, and amazing Wi-Fi connectivity with a built in high performance antenna.